NEW! 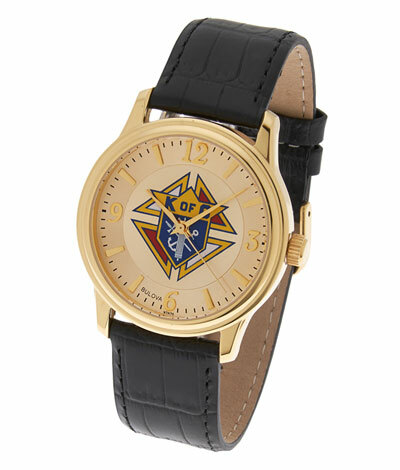 Knights of Columbus Watch with black leather band. Made by Bulova. Water resistant (everyday use, not suitable for bathing, showering, swimming) Emblem of the Order OR 4th degree emblem on face.Gift Boxed.